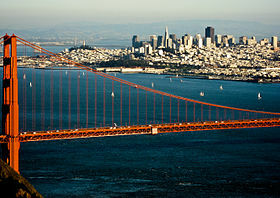 I’ve never been to San Francisco but have always wanted to visit. This paper is an abridged chapter of my dissertation, and I’ll be very interested to hear the feedback on the content from the unlucky souls who decide to attend. ← Where in the NT are Joseph and Joshua? Congrats! San Francisco is my home (I was born in Vallejo and raised in Napa, but as the cliche goes, I left my heart in San Francisco after living there a few years). I intend to be at both ETS/SBL this year so we should meet and if I get a chance I’ll come by to hear your paper. Yes let’s definitely get together at some point. My email is brianleport@gmail.com. Send me an email some time and we will make plans to meet in SF. I like the new blog/format. Thanks man. You going this year?